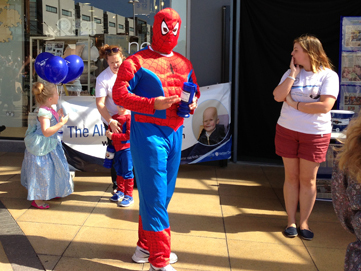 The Alfie Gough Trust team were at Westwood Cross in Broadstairs, Kent. 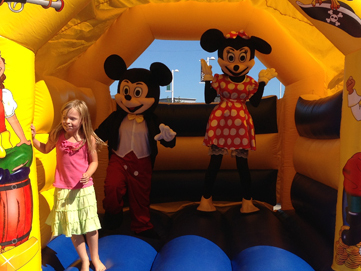 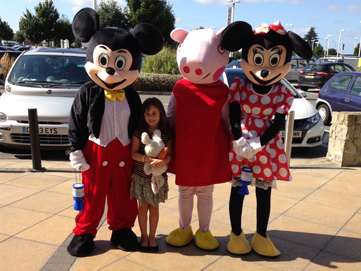 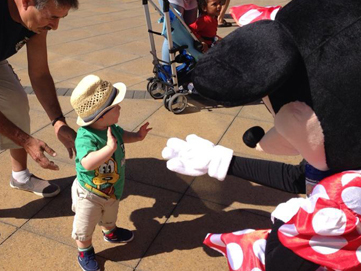 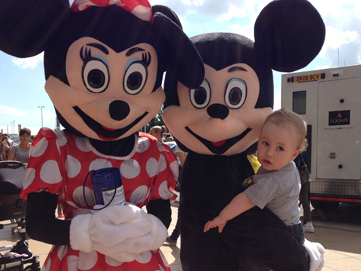 This year we had some friends join us, Mickey Mouse, Minnie Mouse, Peppa Pig just to name a few. 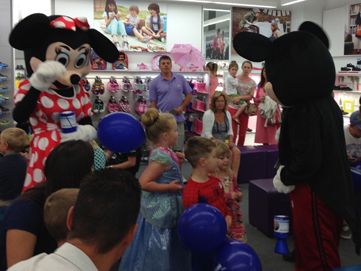 We had great fun and raised a wonderful amount of money! 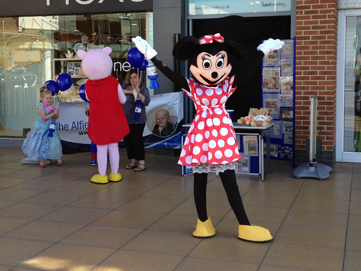 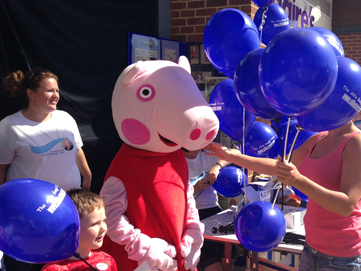 The Charity attends Westwood cross one weekend a year and receives such a great welcome from staff and shoppers. 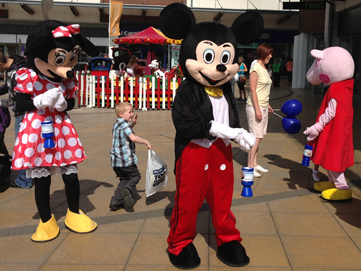 We use our two days at Westwood cross to make awareness of children suffering from cancer and how nutrition is a very important part in keeping the children strong throughout chemotherapy. 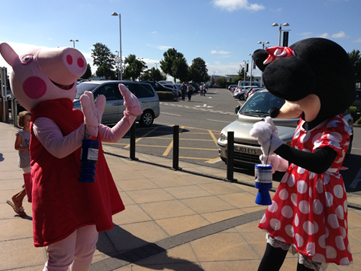 Moneys raised will go towards supporting our children in nutrition. 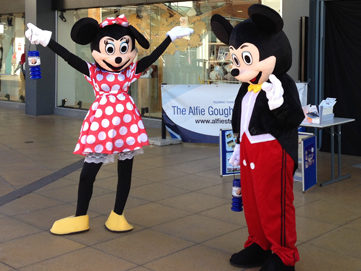 The Alfie Gough Trust would like to Thank All of Westwood cross staff and shoppers for all their continued support.